The most difficult thing is the decision to act, the rest is merely tenacity. The fears are paper tigers. You can do anything you decide to do. 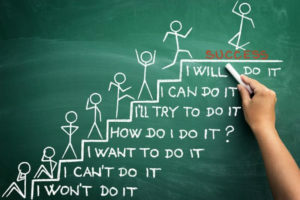 You can act to change and control your life; and the procedure; the process is its own reward. Although not as dramatic as the female pilot flying solo across the Atlantic, certainly in a lens of triumph, completing the journey of magnet certification required steadfast diligence and a focus on the details. These improvement efforts and identifying proof via evidence brought schools’ data sets to life. In 2012, a group of Magnet Schools of America’s board members, and volunteers from the membership, took on the task examining the MSA five Pillars and drafting the Standards of Excellence. Through thirty-six months of drafts and a certification pilot study with six membership districts, the final ten Standards of Excellence were presented to the organization’s membership. The purpose of these standards was to drive the process and work for becoming a nationally certified magnet school. Each of the standards have several performance indicators with a rubric that allowed schools to measure their status against exemplars. 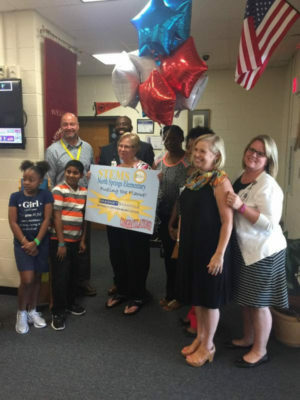 North Springs Elementary School celebrates being named 1 of 10 National Demonstration Schools. In May of 2016, we kicked off the “Become Nationally Certified” event at the National Conference in Miami, Florida. The anticipation and opening the queue for the first applicants for certified schools was exciting! 110 schools cross the country signed up for the rigorous evaluation. Meant as a tool to identify, reflect, and improve, the inaugural certification process resulted in fifty-five schools earning this recognition. Ten of the fifty-five schools’ performance indicators exceeded the norm and have received the accolades of being Nationally Certified – Demonstration Magnet Schools. This first cohort of schools began their certification work in August of 2016; they were provided onboarding details, pacing guides, reference tutorials, and other resources. To gage where each school stood in the arena of certification, each school was required to partake in a self-evaluation of the Standards of Excellence performance indicators. It was this internal process that would drive the needed concerted efforts and strategic action plans to improve or enhance their status. With a closing date of June 30, 2017, it was paramount that schools used the nearly nine-month process with authentic school improvement efforts. Throughout the process, we hosted Q & A sessions to touch base with the cohort and address concerns, either technical or other. We offered complimentary small group coaching sessions during the National Conference in Los Angeles 2017. These sessions were highly attended, and our cohort membership was grateful to have their questions addressed in person. The schools that attended these small group sessions and/or purchased coaching services fared better than those who did not seek assistance. Knowing that not all could attend this conference, the MSA Certification Project Work Group divided up the schools that were not in attendance and offered virtual assistance. Monthly benchmark reminders were also sent to cohort leadership to encourage and keep pace. A reflection of our own experiences for cohort I brought clarity on the critical element of on-going supports. We took note of rubric and language redundancies and are making amendments for future cohorts for clarity purposes. Recognizing and honoring these outstanding schools lends to the stability in the landscape of magnet and their reputation of outstanding school choice for families across the nation. Although we had sixteen schools that received not certified status, we also had thirty schools extending their opportunity for a second year in the certification process to further examine how they meet the performance indicators and are learning from their journey along the way. It is our hope, that in Chicago 2018, MSA will recognize this first cohort with eighty certified schools!